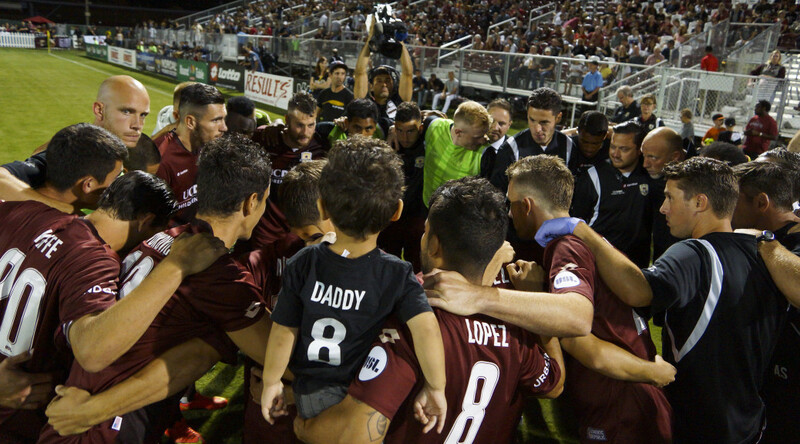 SACRAMENTO, Calif. – Sacramento Republic FC’s Academy will be fielding an additional three teams for the 2016-17 U.S. Soccer Developmental Academy season per the USSDA’s requirements. The academy will create two U-12 teams and a U-13 team to join their current U-13/14, U-15/16 and U-17/18 teams that are playing in the Academy’s inaugural 2015-16 season. Tryouts for the new teams will take place on Feb. 5 and 7 at Cosumnes River College in Sacramento, Calif. The U-12 tryouts will be held on Friday, Feb. 5 from 4-6 p.m. and on Sunday, Feb. 7 from 11 a.m. to 1 p.m. The U-13 tryouts will be held on Feb. 5 from 7-9 p.m. and on Feb. 7 from 1:30-3:30 p.m. All tryouts cost $65 and include the two-day tryout, professional coaching and instruction from Sacramento Republic FC’s Academy coaches. Preregistration for the tryouts is required through SacRepublicFC.com. Sacramento Republic FC’s Academy has performed well in their inaugural season with all three teams playing within playoff contention and the U-17/18 team currently riding an eight-match undefeated streak (7 wins 1 draw). In addition, two Academy players have been called up to U.S. National Team camps this season. U-15/16 goalkeeper Mason Finnell was called up to the U-15 Boys’ National Team Camp in November 2015 and U-17/18 defender David Burns was called up to the U-20 Men’s National Team Camp this month. Open tryouts for the U-14, U-15/16 and U-17/18 Academy teams to be announced. For more information on the Sacramento Republic FC Academy, visit SacRepublicFC.com.